I probably should have penned this piece last year after the first season of Netflix’s magnificent series The Marvelous Mrs. Maisel written and directed by the brilliant Amy Sherman-Palladino, whose work I have admired for years in her previously smart, funny and poignant, Gilmore Girls (2000-2007). Maisel is the finest piece of serial television I have seen since AMC’s titanic Breaking Bad – its characters are deeply vivid, filled with relatable pathos, and deliver exquisite dialogue framed in stellar set-design, music and costuming. The plotlines within the impressive locations and ambiance of 1950s NYC are absolutely riveting. And thus far I have not even sent a nod to its star, who is a tour-de-force as Mrs. Maisel, Rachel Brosnahan or one of my favorite actors, Tony Shalhoub as her father, Abraham or the comedic whirlwind that is Alex Borstein as Maisel’s cantankerous manager or that the first season took home three Golden Globe Awards and five prime-time Emmy’s, including Best Series and Outstanding Comedy Series respectively. Nope. 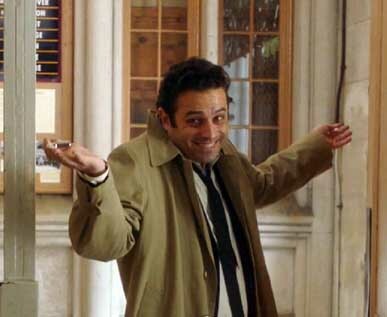 This tribute to what is now my favorite TV show begins and ends with Sherman-Palladino’s resurrection of one of my heroes, Leonard Alfred Schneider, better known as Lenny Bruce.